MINNEAPOLIS — Patrice Salmeri, director of Augsburg College’s StepUP® Program for students in recovery and President of the Association of Recovery in Higher Education, is a national expert available to talk to media about President Barack Obama’s announcement to bolster medial services for persons in recovery from substance abuse disorders. Shifting language used to describe these disorders. For instance, rather than using the term “addiction,” shifting to “substance abuse disorders” to recognize that addiction is a medical issue. Treating substance abuse disorders as medical issues, not unlike society responds to diabetes or other chronic medical illnesses. Ensuring those with substance abuse disorders can access mental health and substance use services as readily as other medical services. How: Call Stephanie Weiss, director of news and media services, at 612.330.1476. 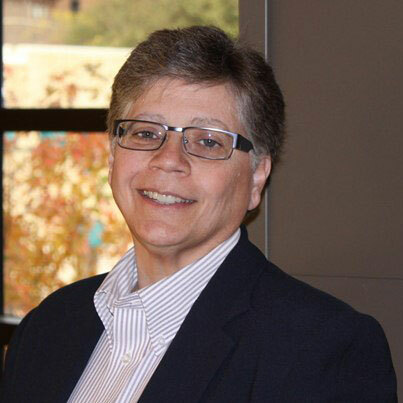 Full Bio: Patrice Salmeri is the Director of the StepUP® Program at Augsburg College in Minneapolis, Minnesota, the largest residential collegiate recovery programs in the nation. She also serves as the President of the Association of Recovery in Higher Education. She is a Licensed Chemical Dependency Counselor, holds a Master’s Degree in Human Development specializing in leadership and spirituality, and also serves as an adjunct faculty member at Augsburg teaching courses related to chemical dependency. During Salmeri’s tenure as Director of StepUP, the program has experienced a 250 percent increase in the quantity of young people in recovery pursuing a college education. In 2011, The U.S. Department of Education appointed Salmeri a Fellow for the United States Department of Education’s Higher Education Center for Alcohol, Drug Abuse, and Violence Prevention. In 2013, The Association for Recovery in Higher Education presented Patrice with The Lifetime Achievement Award for Outstanding Contribution to Collegiate Recovery.